Tuesday night at the Avon Town Council meeting was Buz Reynolds' recognition night. Buz is leaving the Town Council after the Avon election this November. Buz was recognized for his 29 years of public service on both Avonâs Town Council, as former mayor and his years on Avonâs P&Z. Buz is also a proud grandfather. 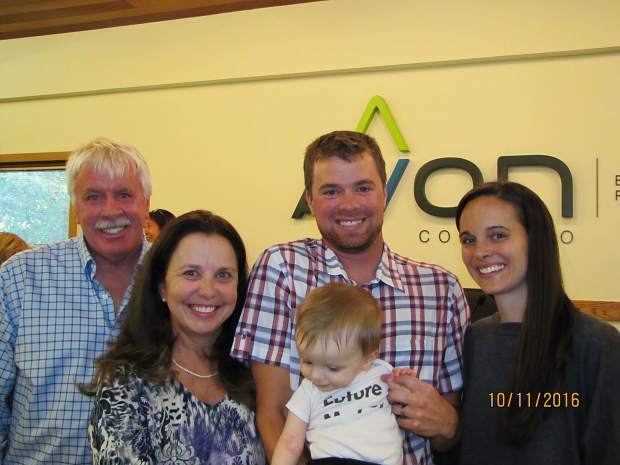 From left is Buz Reynolds; his wife, Monica; son, Sean; grandson, Camden; and Seanâs wife, Ashley. Photo credit to Pete Buckley.